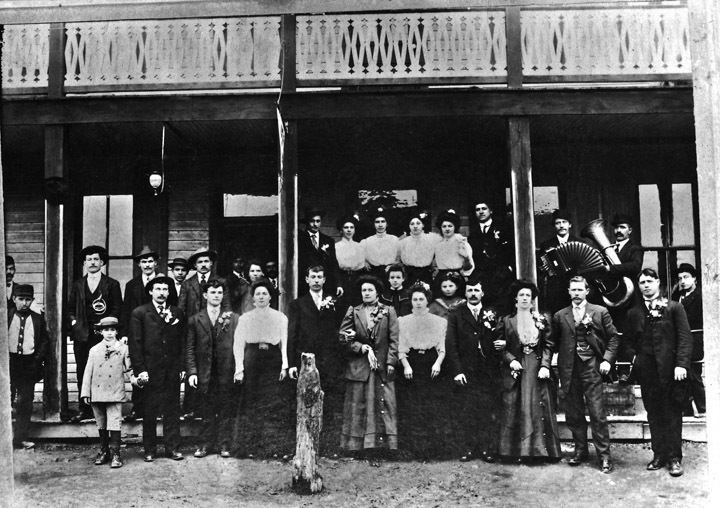 Photo taken in 1906, in front of Raffaele Genetti’s boarding house and saloon in Weston, PA. Group includes members of the following families: Genetti, Zambotti, Marchetti, Dallachiesa, Martini, Springetti, Yannes, Recla. Welcome to the Genetti Family Genealogy Project. Is your surname Genetti or are you a descendant of the Genetti family? If so, there is a good chance your ancestors originated in the tiny village of Castelfondo, located in the Italian Alps, a region once known as the Austrian Tyrol. This website is dedicated to all Genetti family members living throughout the world; to those who came before us laying down the roots of our family; and to future generations so they may know and love our shared heritage. Based on ancient ledgers, historical documents, genealogical records and of course, family stories passed down through the centuries, this website forms a valuable resource and window into our past. With your participation, The Genetti Family Genealogy Project will continue to grow and share the history of our Tyrolean roots. Stop by often to see what’s new, help us authenticate info, and take part in creating a web resource for and by you!